Vulgar language and messages wishing harm upon Mile-Hi Skydiving pilots written in all capital letters comprised hundreds of the complaints against Longmont's Vance Brand Municipal Airport filed by a Niwot man last year. Records of the complaints filed by John Palmer over the course of 2017 show he actually made 1,042 complaints — 217 of which were not officially logged due to what was deemed as excessively explicit and inappropriate content. Last month, in his annual report to City Council, Airport Manager David Slayter said the airport received 949 complaints in 2017 — up from just 217 in 2016 — with 825 from Palmer. Slayter said he eventually stopped logging Palmer's quibbles that contained profanity, but records show the man rarely hesitated in using obscenities. "The dimwits are overhead in their ... noise-making turd!!! It's going to be a great day when that plane falls out of the sky!!!" Palmer wrote in all caps July 9 through the city's complaint form on its website. About 45 minutes prior to that, he wrote, "The dirt bags are back up with the trash making noise!!! This scum does not belong in Boulder County!!!!!!" On multiple occasions — mostly over weekends, since that is when Mile-Hi Skydiving most frequently operates, according to Slayter — Palmer sent dozens of complaints over the course of just a few hours, the records show. For instance, on Sept. 2, the Saturday of Labor Day weekend, Palmer sent 29 complaints — some as few as 18 minutes apart. More recently, he purported being disturbed by Mile-Hi Skydiving noise over the holiday season, sending six complaints Dec. 23. "Don't these jerk-offs ever stop?! Now they're going to ruin Christmas weekend with the incessant noise making!!!" he wrote. He declined to comment for this story through Citizens for Quiet Skies leader Kimberly Gibbs. Fielding Palmer's gripes took a toll on Slayter, who said he discussed with the City Attorney's Office whether he could make his own complaint about the treatment to which he was subjected by Palmer's persistence. "There were a couple of them in there that were pretty rough," he said. "The city didn't want to impede on someone's First Amendment rights. What can you do other than ask him to stop? I didn't really take it to council because I didn't think it needed to be raised to that level." Palmer rejected multiple invitations to have a formal discussion with Slayter and city officials regarding his many grievances. "When he declined, it was disheartening. I think I tried to communicate with him multiple times and explain how the city's hands are tied about this issue and when he finally said he didn't want to, I realized his purpose was just to log the complaints that he wanted to log," he said. When he is notified of excessive airport noise, Slayter said he documents where the complainant lives so he can warn pilots about flying too low or too loudly near those areas. "The intent of the complaint system is to let us know the geographical area that they're coming from. That way, we can let the pilots know," Slayter said. 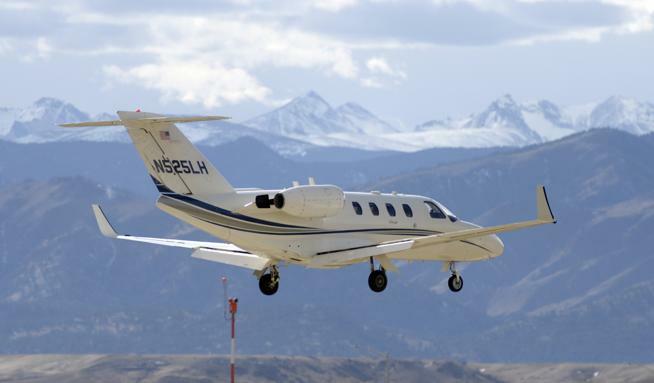 Mile-Hi Skydiving's operation out of the Vance Brand Municipal Airport came under increased scrutiny when Gibbs' group filed a lawsuit over airport noise that was unsuccessful before being tossed out by the Colorado Supreme Court. Although Mile-Hi Skydiving is much less active in the winter than in the summer, Slayter said he has continued receiving complaints from Palmer in 2018.